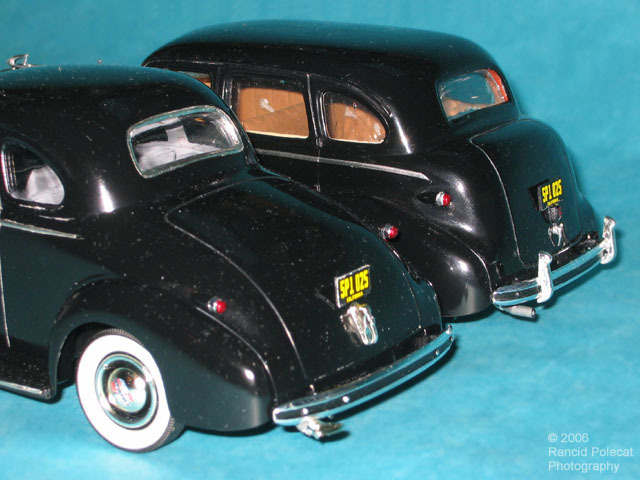 Both of these models are based on Monogram's 1939 Coupe kit. The major difference between them is that one is a coupe using the Monogram kit body and the other is a sedan using an R&R Vacuumcraft conversion body and interior. You can see here the Harry has also added the optional bumper guards to the Sedan-bodied car.